China's southern Hainan province is a veritable paradise, with tourists flocking to its sunny shores and golden sands. Luo Di, who works for a Beijing-based real estate agency, wrote on China's popular microblogging site Sina Weibo that his friend was charged 4,000 yuan ($635) for a simple three-course meal in Sanya. Sanya's industry and commerce bureau also revealed that a seafood restaurant charged customers 9,764 yuan for a seven-course meal during the holiday. Potential investors, however, remain keen to cash in on the island's booming economic activities. 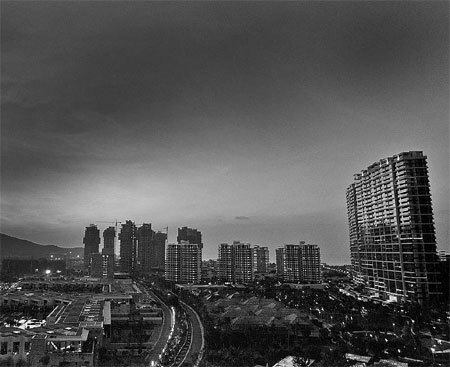 Luxury hotels, for example, are speeding up their expansion in Sanya, leading to concerns that a bubble is forming in the city's tourism market. When it comes to high-end infrastructure, many are wondering whether the island has enough bays to accommodate the luxury hotel expansion wave, although they know that the industry's big guns' enthusiasm for Hainan remains undimmed. In a sign of this continued interest from the industry's major players, Sol Kerzner, a South African business magnate operating one of the world's most expensive hotels in Dubai, has made Sanya his first destination in China. 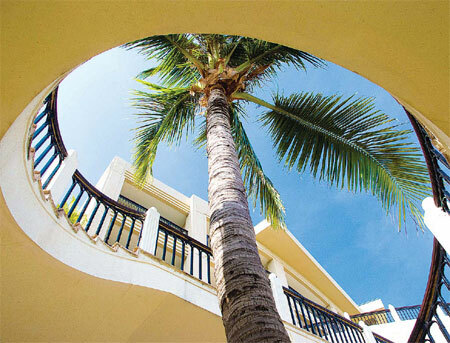 Sanya's local government said there are 223 tourism hotels in the city, including 13 five-star hotels, 20 four-star hotels and 26 hotels that have been built to a five-star standard, but have yet to be graded. Almost every famous hotel brand has opened a hotel in Sanya, the crown jewel of Hainan, China's international tourism island. Marriott's Ritz-Carlton Sanya located on Yalong Bay is the most successful Ritz-Carlton anywhere in the world, he added. St Regis Hotels and Resorts International Inc, the top high-end hotel brand operated by Starwood Hotels and Resorts Worldwide Inc, invested 2.5 billion yuan in its first Chinese resort in the last available area of coastline on Sanya's crowded Yalong Bay in December 2011. Galland said that based on the company's estimates, the number of rooms in international four- and five-star hotels in Sanya will increase by about 70 percent this year compared with the end of 2010. According to a plan published by Hainan province's travel committee, 76.8 million person-trips are expected to be made to the island annually by 2020. As more luxury hotels move in, some industry insiders have warned that Sanya's hotel industry may be overheating due to the abundance of high-end hotels. 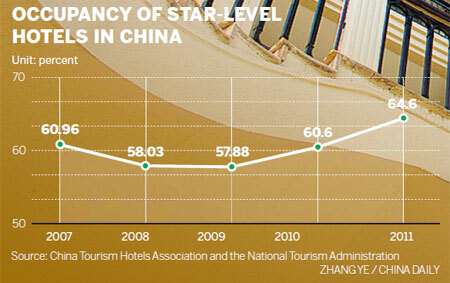 During this year's Spring Festival, a peak season for tourism, the average price of rooms in five-star hotels went up to 3,668 yuan per night, compared to 1,298 yuan one day before the festival. Although they may seem unacceptable to the vast majority of people in China's middle-income bracket, analysts said the soaring prices are normal because they reflect the real demand for quality hotels. If visitors cannot afford a resort hotel, they have to look for cheaper hotels or guest houses, which are nearer to the free public beaches in the city's downtown area. During the Spring Festival, the average occupancy rate of Sanya's hotels declined by 3.44 percentage points compared with last year, according to figures from the local government.